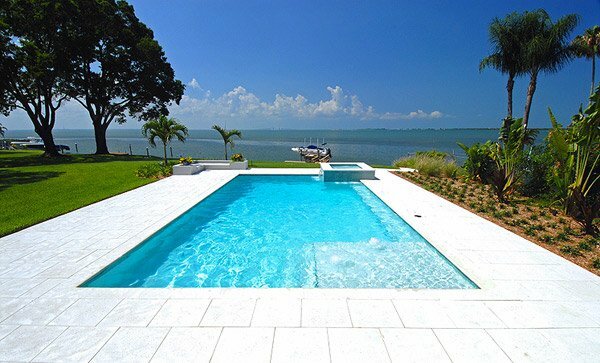 Choosing the best pool designs for our home is not that easy. We need to consider the available space that we have and the landscape. 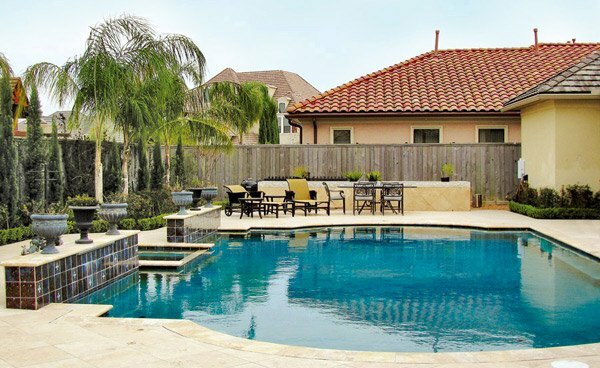 Pools comes in different shapes, forms, and sizes, so one needs to check what’s the best shape of pools that will suit the available resources in their house. That is why today, we are going to show you the different geometric pool designs skilfully made the best designers and architects. Well Geometric pool designs are said to be the classical pool design style that features even lines and geometric shapes. With that this is considered to be the traditional type of swimming pool because it is in rectangular shape. Also it ranges in size and design where we can compare it to it to the free form designs. This type of pool is focusing on its sharp corner where you can also put some slides. This is popular in the sense that most of the people chose this design because of its simple shape and practical function. To know why this geometric pool design is popular, why don’t you check the different Geometric Pool Designs below. 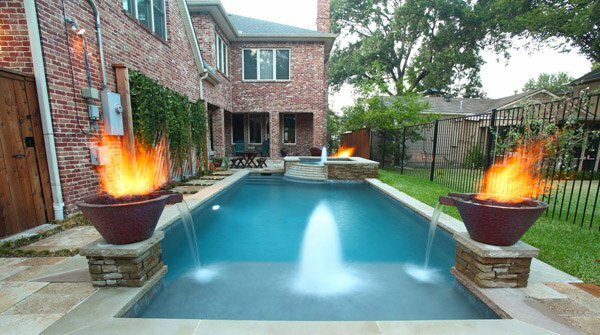 The fire as well as the fountain installed in this pool is very effective to display a more enchanting scene. 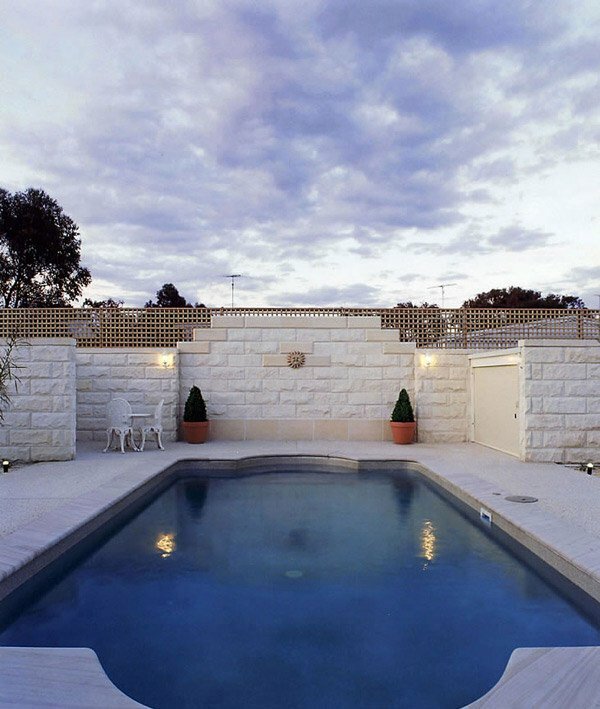 The lines’ edges as well as lights built in the corner make this swimming pool more attractive. 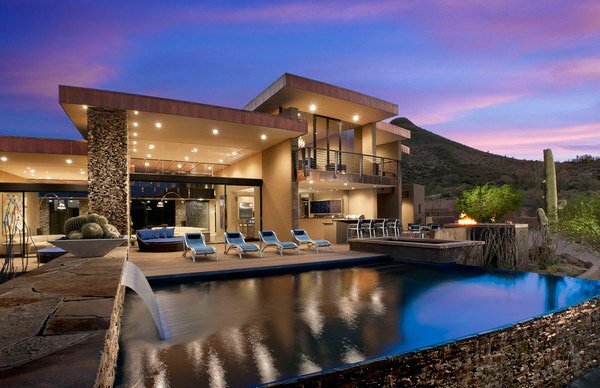 The designer successfully came up with this relaxing pool in the exterior. 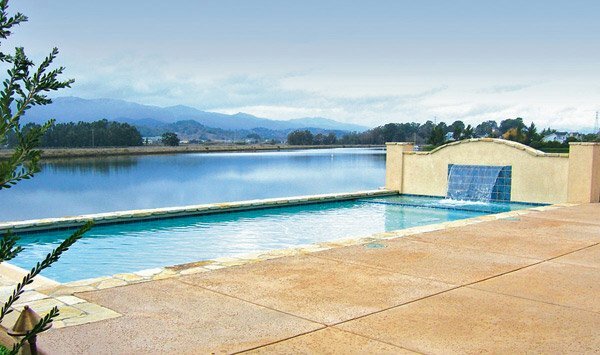 Certainly the fountains on the edges of this pool will create a more refreshing feeling to the homeowner even if he is just sitting here. 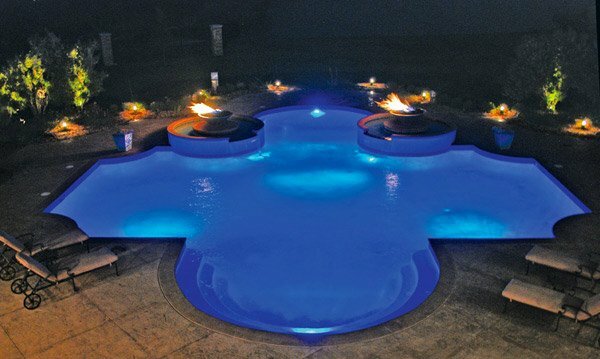 The designer creatively utilized the amazing pool lights design in this area that may surely set the mood of the client. This may be a simple and small swimming pool created by the designer just to provide more comfort and relaxing feeling. 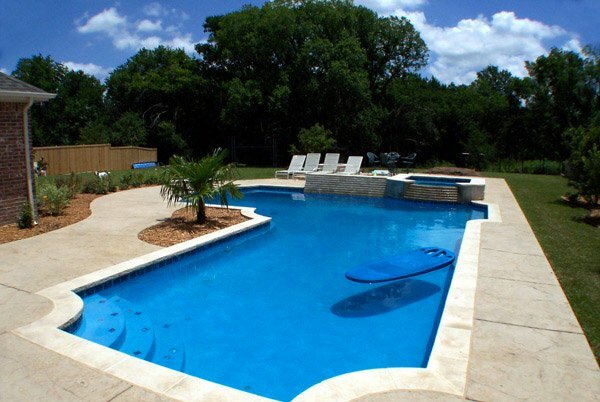 The designer was able to provide beautiful landscape in this area that complements the shape of this cool blue pool. Even at night, the astonishing man-made water falls shows the elegance and luxury of this place. 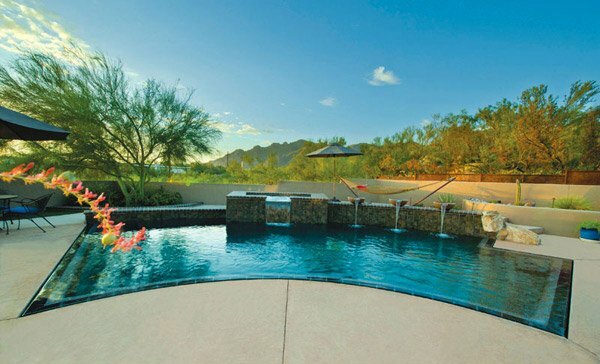 The space is wide enough to feel the fresh air and enjoy the heat of the sun while swimming. You can see here the rough texture of the tiles and stones that contrasted the smoothness and calmness of the water in the pool. As you may see the designer was able to maximize the available space of this area in the exterior. The water in the pool is like dancing with the incredible fountains and blue sky above. The designer was able to connect the elements of nature to this geometric pool. The homeowner can surely unwind while looking at the serenity of this area. The trees that surrounded the area provide more coolness to the water in this astounding pool. 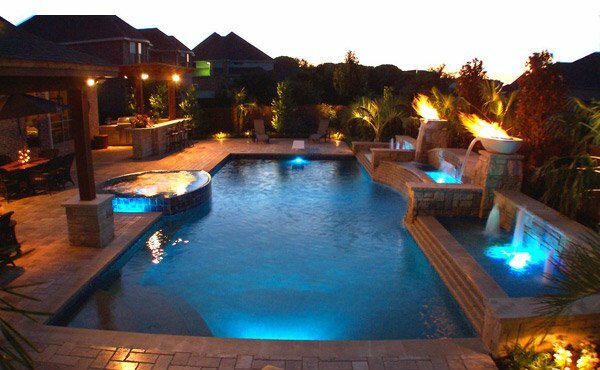 The pool lights here can also show how elegantly made this swimming pool is. 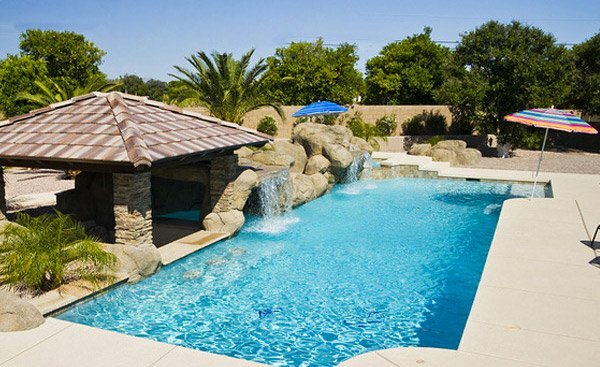 The fountain in the corner is one of the highlights of this simple swimming pool. 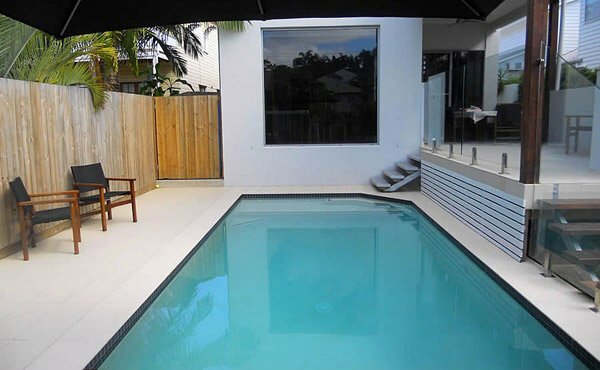 The space may be limited but the designer was able to create a clean and simple geometric pool here. 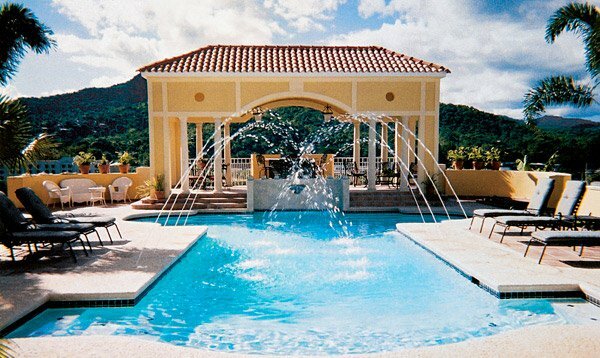 The fountains and man-made water falls in this swimming pool shows how fun and exciting to swim and stay here. In the middle of the heat of the sun this area may surely refresh and ease the stress of the homeowner. 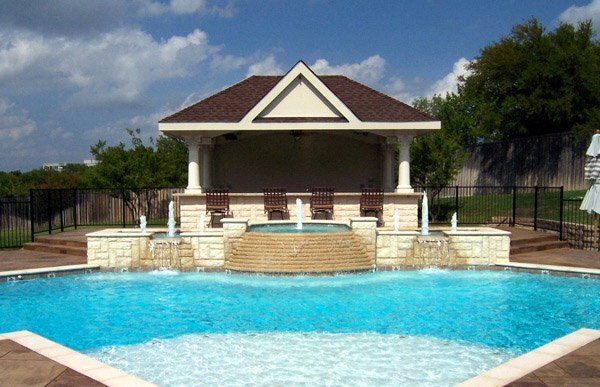 Consequently, geometric pool designs are one of the best choices in choosing the right pool designs for the homeowners. We may say that these kinds of pool designs are not just considering the style or design requested by the client but also the functions. 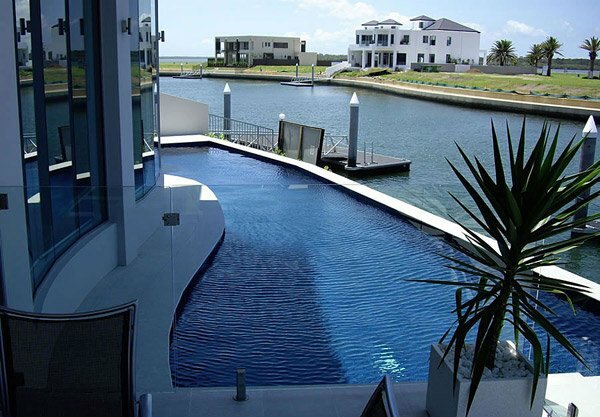 As you can see in the designs showcased above, that its rectangular shape is proven functional when it comes to designing and creating more fun swimming pools. At the same time, it is much easier to maintain the cleanliness of this pool compared to the other irregularly shaped pools. 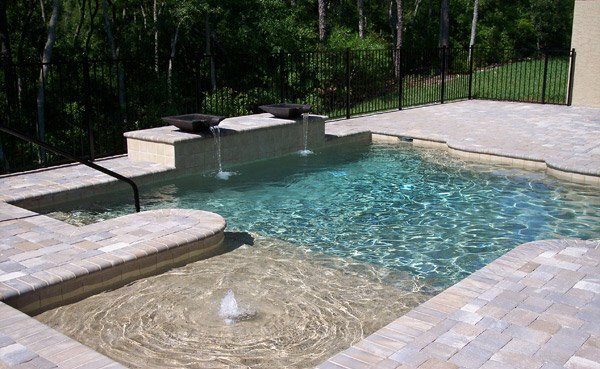 Now it’s time for us to hear from you, what do you think is the best pool design above that captures your interest? 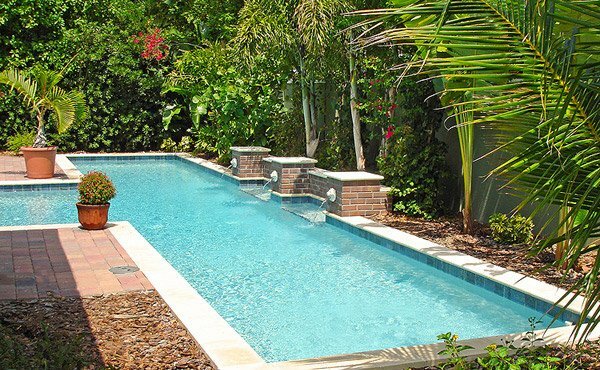 Now if you like pools with curves, Free Form Pools could be the one your are looking for. Beautiful, each one of these geometric pool designs are nicely done indeed. 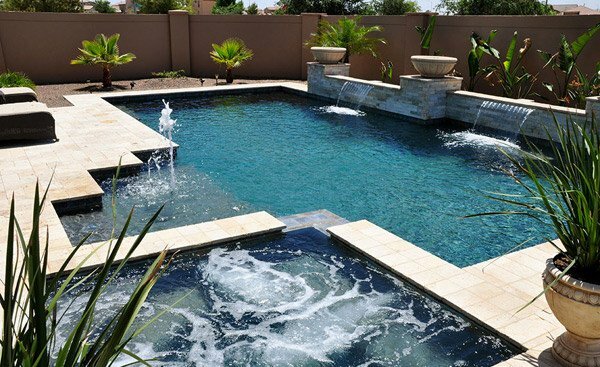 Great designs for homeowners to select the right pool design.